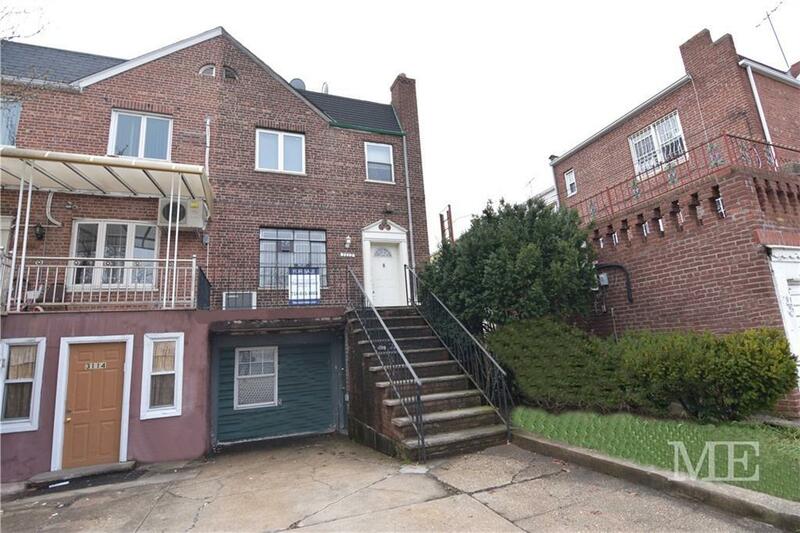 Semi-Detached Brick 1 Family 3 Bedroom Duplex in Marine Park. Large Front Porch. Entry Foyer w/ Coat Closet. Formal Living Room & Formal Dining Room w/ Door to Rear Deck & Yard. Eat-In Kitchen w/ 1/2 Bath. Upstairs Boasts 3 Spacious Bedrooms & Full Tile Bath w/ Separate Stall Shower. Hardwood Floors Throughout. Full Finished Basement has Family Room, & Plenty of Closets. Private Drive & Attached Garage. Being Sold As Is.